Celebrating our 20th year, EnvironMolds features ArtMolds®, EZ Cast Kits®, MoldGel® Alginates, alginate and other great brands of Lifecasting, Alginates, Mold Making, Sculpting Supplies, Molding and Casting Materials, supplies, books, educational videos and resources. Lifecasting or body casting (read more about it here) is the art of mold making directly from the human body. 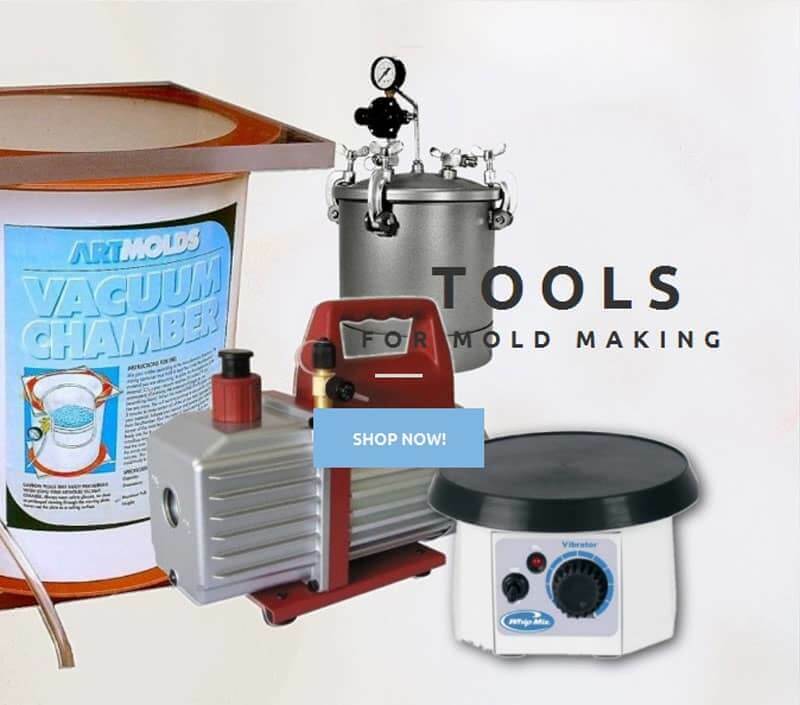 Here you will find the largest offerings of mold making supplies, alginate impression materials, lifecasting art supplies, our EZ Cast Kits® bodycasting kits, tools, silicone, latex, and body casting supplies, casting and sculpture tools, videos, books and instruction, vacuum chambers and pumps found anywhere. Just getting started? Use the Use and Application Chart as a handy guide for what products to use. You Should Take A Look At!